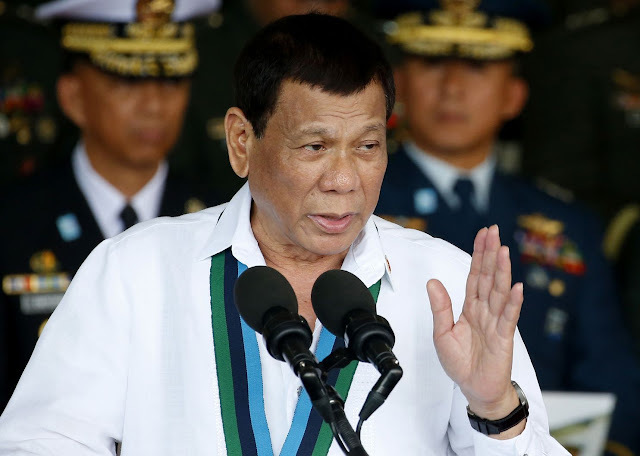 MANILA -- President Rodrigo Duterte on Friday expressed hope that the Bangsamoro Organic Law (BOL) would be ratified during its plebiscite on Jan. 21, 2019. “Sa (In the) BOL, Bangsamoro Organic Law, there is a plebiscite. Let’s just pray that it will push through. If it won’t, then that will be another problem,” Duterte said in Bisaya during his visit to check on landslide victims in Naga City, Cebu. The Commission on Elections (Comelec) earlier said that the plebiscite period will last from Dec. 7, 2018 until Feb. 5, 2019, while campaign period will be from Dec. 7, 2018 to Jan. 19, 2019. Comelec spokesperson James Jimenez assured the poll body's readiness to conduct a plebiscite for the BOL amid preparations for the May 2019 midterm elections. Jimenez said holding a plebiscite is not as tedious as regular elections since it will just be using the manual system of voting and will only involve some 3 million voters. Last July 26, Duterte signed the BOL, or Republic Act No. 11054, which seeks to establish a new Bangsamoro political entity to replace the Autonomous Region in Muslim Mindanao (ARMM) and achieve national rapprochement with the Moro rebel groups. In his speech during the ceremonial reenactment of the signing of the BOL on Aug. 6, Duterte enjoined all Filipinos to participate in “constructive discussions” on the BOL, including the plebiscite. “I ask my Bangsamoro brothers and sisters, as well as the indigenous communities and Christian settlers living within the Bangsamoro areas, to actively participate in constructive discussions about the law in your homes, in your villages, and communities,” Duterte said. “But more importantly, I encourage you to take part in the upcoming plebiscite so that you may express your sovereign will through the ballot,” he added.